In a recent Wall Street Journal article on The End of Management, Alan Murray claims corporate bureaucracy is becoming obsolete and that managers should act like venture capitalists. Maybe so. But management trends do not necessarily mean that the old mores disappear. The two may integrate. Or, the new trend might be just ephemeral. Very often, things regress towards the mean. Is he running the risk of calling a live phenomenon obsolete? Is he slightly overconfident in the venture capitalist attitude? Yes to both. Here is why. In the case of management as such, or corporate bureaucracy in particular, lots of things have happened since the phenomena first appeared. Well, we might first want to discuss when it actually did appear. Is Murray talking about the practice of management, which is as old as humans have formed groups and civilizations? Or, is he talking about the post-war formulation of management science and case studies of its practice at western business schools? Although Murray mentions that business guru Peter Drucker has called management “the most important innovation of the 20th century”, and Murray continues to say that management, as a perspective, cannot survive the 21st century, the article is unclear. The article’s author, Alan Murray, is the WSJ Deputy Managing Editor, and is actually pitching his new book, “The Wall Street Journal Essential Guide to Management“. I sympathize. Books need pitching, even for somebody with WSJ as their speaking platform. Murray is correct in characterizing contemporary corporations as bureaucracies. This is a point often lost on business pundits who criticize government. Somehow, in their opinion, private sector has the solutions whereas public sector needs to reform their bureaucracies by taking private solutions on board. With Murray’s lens an entirely different picture emerges. Both governments and corporations are bureaucracies. They are both outdated. Bold claim. It makes him sound 20 year younger, but not necessarily right. “Complicated enterprises, like maintaining Wikipedia or building a Linux operating system, now can be accomplished with little or no corporate management structure at all.”, he asserts. Has Murray looked into these two very complex organizational ecosystems? Has he ever contributed to any of them? Does he know anybody who does? His kids? Grandchildren? In the example of Wikipedia, let’s just remind ourselves that the site has gone through several management upheavals and policy changes. There are now much stricter rules on who gets to post what. All authors are logged and can be retraced by any reader or Wikipedia staff at any time. If you look at how even a fairly simple entry is created, you will find that there are numerous layers of bureaucratic structure involved. There is a main, originating author. There are people who just point out a spelling error here and there. There are people who add significant updates over a long period of time. In short, there is a hierarchy, there is an implicit allocation of authority, and there is respect for these things. I will not go into detail, since Wikipedia’s operation is commonly known for all who know anything about the web, but suffice to say that short of the payroll, Wikipedia is like any other corporate system, and only slightly more nimble. That does not mean I am against it, simply that I refuse to take it as an example of anti-corporate evidence, whatever Jimmy Wales may say. In the example of the Linux Operating system, I would say, its emergence has been hierarchical from day one. Linus Torvalds towered over its development in the beginning. Yes, he did accept help from others. That is the entire point, and not one lost on corporations either. However, here’s the thing. You cannot simply start changing the Linux kernel without permission from the code owners and overseers. It goes through numerous iterations before changes become permanent. In short, the process is quite complicated, even bureaucratic, some would say. Instead of a completely new phenomenon that must be understood without reference to the past, what we have in Wikipedia and Linux is two different ways of reproducing the organizational phenomenon Weber over a century aptly characterized as a bureaucracy. He did not set a fixed number, but he was pretty clear that the phenomenon arose with increasing complexity and size. In fact, he wrote volumes to prove this fact and describe its emergence. So, it seems that once a process reaches a certain size, complexity increases, compelling its participants to organize themselves in a more meticulous manner, and introduce hierarchical structures, not necessarily compensated monetarily, but through other symbolic means. In the case of Linux, I might add, the corporate component has only increased in the last decade. 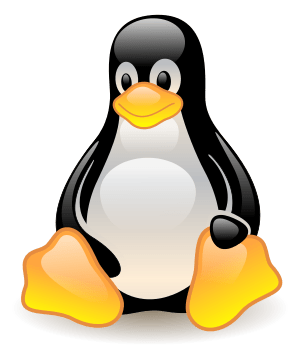 For instance, it is commonly known that two thirds of the contribution into the Linux kernel is now done by programmers affiliated and paid by traditional corporations like Dell, IBM, HP, Oracle, Novell, and Nokia. Wikipedia and Linux are not very similar, but for the purposes of tearing down Murray’s logic, they are similar enough. Both are highly managed, although in loosely coupled ties. Both include financial aspects. Yes, collaboration is also done virtually. Yes, these two enterprises are very different from the legal definition of an enterprise. However, there are a lot of commonalities, many more than Murray sees. Not seeing these and not accounting for them in an analysis of change, is a major oversight. Fine. He has a grander scheme in mind, perhaps? Well, where is it? Little, if anything, can actually be accomplished without management structure, even in the Internet age. In fact, it is not the management part that has changed, it is the speed with which networked interactions complement and extend existing power structures. Occasionally, technologies will also disrupt hierarchies, or at least alter them, but that is actually a more rare occurrence.